a large cup, typically cylindrical with a handle and used without a saucer. Our beautiful mugs are sure to make an impression on you…and we are not talking about our fabulous faces :-) but about our exclusive, personalised, colourful ceramic cup mugs. They make a stand out gift and are perfect for special occasion presents or are also ideal if you wish add some vibrancy to your kitchen interior. Our personalised cup mugs come with a choice of an initial and 25 quirky pattern choices! Great for everyday use for your tea time/coffee break treat! If you like the look simply click on the image below to view the listing link. 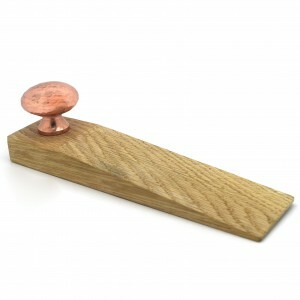 We also sell other designs which can be found on our Home Accessories page tab on our main menu. This entry was posted in Personalised Gifts, Home Decor, Home Accessories and tagged personalised gifts, colourful, colourful decor ideas, personalised, colourful home decor, ceramic, unique home gifts, mugs on 22nd August 2016 by admin. 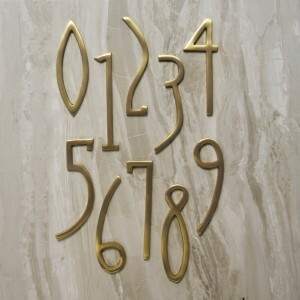 You can create an eclectic vibe with these Art Deco style house door numbers which fuse modern and decorative features. They are available in brass gold and chrome silver and are the epitome of Art Deco with their sleek texture and design which radiates an anti-traditional elegance. 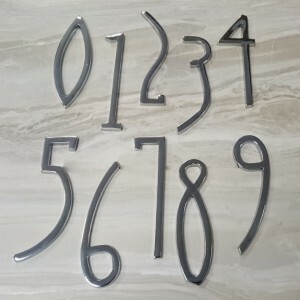 These gorgeous numbers are made from solid brass with a matte coloured gold or silver finish which will generate charisma to any house door, entrance or letter box! To view the listing links simply click on the images below. This entry was posted in Home Decor, Home Accessories, Gold Home Decor, Gold Home Accessories, Door Hardware, Exterior Home Decor and tagged house numbers, brass house numbers, gold house numbers, art deco, brass home decor, gold home decor, silver house numbers on 15th August 2016 by admin. 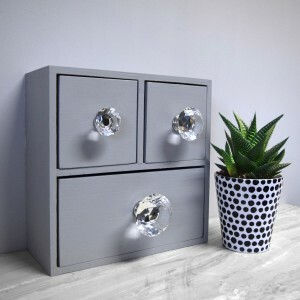 You can inject interest, sparkle and elegance with these striking crystal clear knobs that are made with the finest quality K9 crystal and have a classic diamond shape with a silver base colour. Available in three sizes you can purchase the one that best suits you (Small is 30mm diameter, Medium is 40mm diameter, and Large is 50mm diameter). 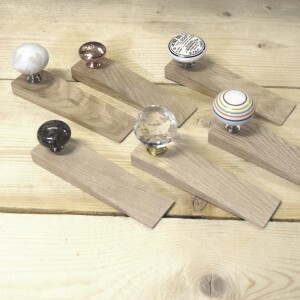 These clear luxurious cupboard door knobs are one of our best sellers and would complement a wide array of interiors from modern and contemporary to traditional. To view simply click on the image below. We have other crystal designs in varying colours and sizes to choose from so if you like the sound of that just view our crystal range by going on the main menu tab on the Door Knobs section. Our gorgeous crystal knobs create a bejeweled look to any furniture easily. This entry was posted in Home Decor, Home Accessories and tagged cupboard knobs, home decor, crystal handles, glass knobs, glass home decor, crystal door knobs, crystal decorations, crystal home decor, cupboard door knobs on 8th August 2016 by admin.